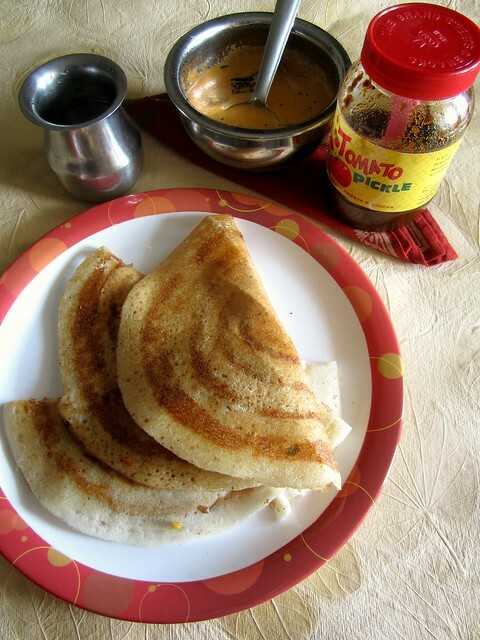 We are a dosa loving family and don't mind having dosa as breakfast(or even dinner! )at least 2-3 times a week.Grated coconut in the freezer and dosa batter in the fridge lets me sleep peacefully knowing well that the breakfast part is well taken care of for the next day. 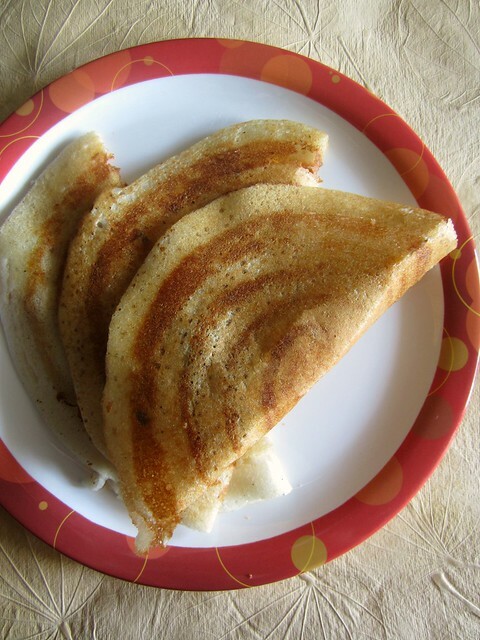 To make dosa even more interesting,we have Masala dosa and a notch higher Kanchipuram Masala dosa on some days.So I had no doubts we'd love this version too which Anu had on her blog a while back-Chettinad Masala dosa with a Cauliflower filling. My version looked a bit like a stuffed paratha filling,nevertheless it tasted awesome and made for a great brunch. 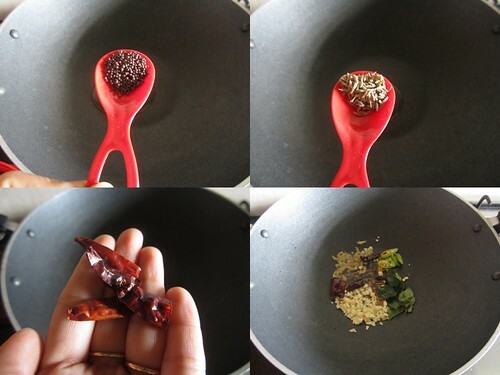 In a kadai add 2 tsp oil and splutter mustard seeds and jeera.Add red chilly bits.Now mix in ginger,garlic,green chilly and curry leaves and saute till the garlic starts to brown. Mix in the onions and saute till they turn translucent.Add tomato,followed by cauliflower and give a good mix. 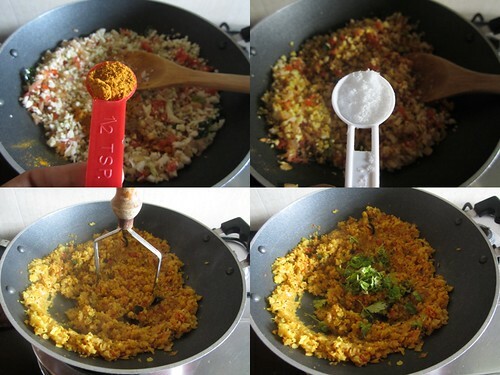 Now add the masala powders one after the other starting with haldi,rasam powder,red chilly powder,coriander powder and sambhar powder.Add enough salt to taste and mix well.Cover with a lid and let the masala cook for 5-7 minutes. 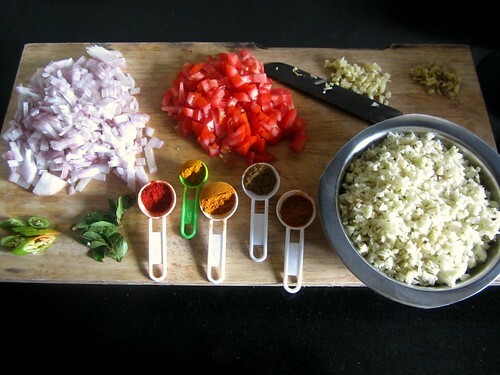 Open the lid and start mashing the masala so that everything gets mixed well.Mix in coriander leaves. Smear the dosa pan with some oil and wipe with a tissue paper.Pour one ladleful of batter and spread into a thin circle.Pour a tsp of oil/ghee on the sides and let it cook. 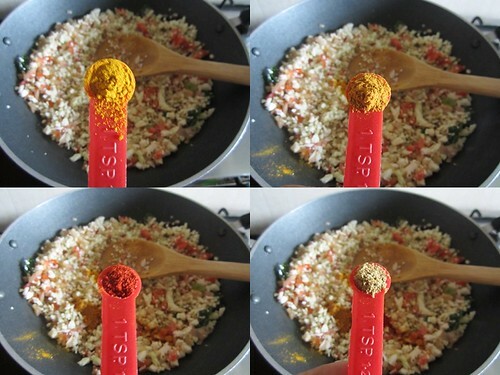 Add a spoonful of masala on top of the dosa and smear it well.Fold over the dosa and serve hot. ur dosa looks delicious,Even I tried the same recipe from anu's blog and loved it too..I do not like whole cauliflower florets as a filling in dosa,a mashed version looks n tastes great..This new layout is clean and loads fast.. 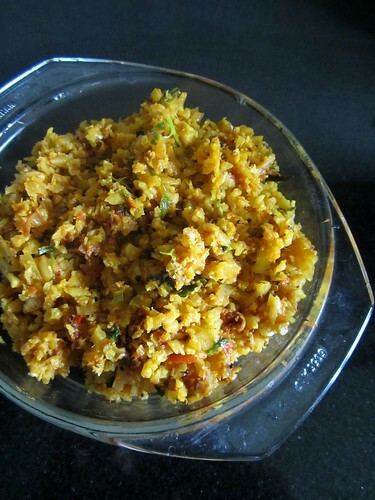 Thanks for the feedback Prathibha!I love the masala to be non-chunky too! Wish to have this wonderful looking masala dosa for my dinner tonite,beautifully done. looks really tempting..will try it sometime..like the new look of your blog.. Crisp n yumm..craving for these now.I tried out the kanchipuram dosa n everyone loved it. will surely try it. 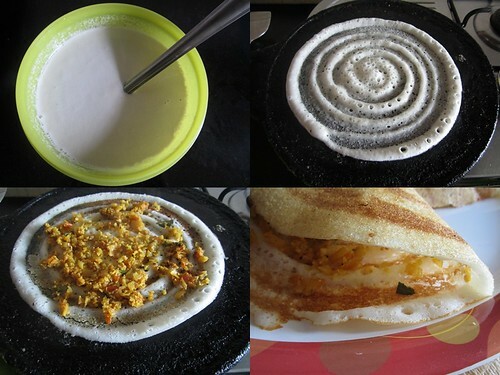 Name itself makes me hungry....very nice dosai and stuffing. Love the stuffing, never tried it with cauliflower! Love the recipe! Never tried cauliflower masala! Hey did u change the blog design? I liked the previous one! :( It was easier to see the sidebars in 1 side! Ooh yum I would love some of this dosa. It looks amazing!